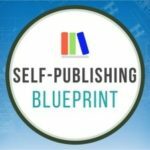 Do you know how to prepare your manuscript for your editor, proofreader, and especially your book designer? As a book designer, I strongly urge self-publishers to hire a professional editor and proofreader prior to delivering a manuscript to our designer for layout. Nevertheless, our team sometimes receives partial manuscripts and manuscripts that have not been proofread or formatted properly for proofreading or design. As a result, it takes more time (and cost the client money) for us to get the manuscript in the proper format before we can begin to proofread or lay it out. Karen Saunders is the owner of MacGraphics Services, a unique graphic design firm for today’s entrepreneur. Karen Saunders and her team of award winning designers help authors and small business owners design their books, build their brand, launch their website and market their business. Visit her website to download a free Book Media Checklist and afree eCourse on How to Create a Best-selling Book Design from the Inside Out www.MacGraphics.net You can also contact her at 888-796-7300, or Karen@macgraphics.net.